On paper, this game is worth 2 points. But the pride, hype, and the fact that essentially an entire HBO episode will be dedicated to this game takes this matchup to the next level. Pens are coming off a dominant win but they do have to travel. Caps had the day off. Get ready, because this is gonna be a wild one. Alex Ovechkin: Self-explanatory. Don't let him get his feet set on the powerplay and keep an eye on him when he brings the puck up the ice from the D-Zone. John Carlson: Working his way into the spot of being Washington's best D-Man, and the two-way skills set he offers is probably more dangerous than Green. Nicklas Backstrom: Don't let him pass to OV. Don't let OV pass to him. -Caps have only lost 1 OT game when leading after 2, but have only come back twice when losing after 2. 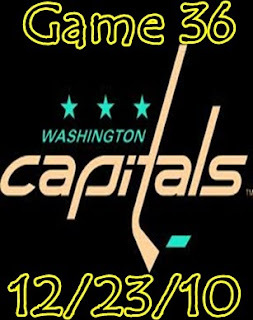 -Washington, like Pittsburgh, does the majority of their scoring in the 2nd period. -Both Washington and Pittsburgh lead the league at 9-2 in winning games in which they were outshot. -Establish a solid physical presence without getting nasty. -Dustin Jeffrey has been recalled from WBS, probably to replace Asham. -Don't know what the situation is for Johnson. If he cannot back up Fleury, the Pens may need to fly in a WBS goalie. The only problem is that both Curry (Minnesota) and Theissen (Canada) will be quite far away on a holiday break so they should move fast. Now go show these muppets up in their own barn. Let's Go Pens!